How much money will I make when I sell my home? There’s a lot more that goes into the financial breakdown of the cost of a sale than simply the agreed upon sale price. Selling a home is a huge legal and financial undertaking, so it’s important to have awareness about the financial situation you are getting into before you agree to list your home for sale. One major aspect of this that many homeowners don’t account for is the interest in arrears. Interest on a mortgage is paid for the previous month, so if you sell your home on the 31st of a month, you will owe interest for that entire previous month. Your title company will help you determine your mortgage pay-off and should be able to explain the discrepancy between what is shown on your lender’s website and the number that they may have with accrued interest. If you have a second mortgage, a Home Equity Line of Credit (HELOC), or a mechanics lien on your property for unpaid services rendered, these items will all appear in a title search, and your title company will work with you to help ensure these items get paid out of closing proceeds. RELATED: FOR SALE BY OWNER: IS IT AN OPTION FOR YOU? We don’t see many of these in post-recession home sales; however, for some homes purchased in the earlier part of the 2000s, pre-payment penalties occurred on a significant number of mortgages. If you purchased your property prior to the recession, make sure to review your mortgage settlement statement (known previously as the HUD-1) to see if you have any such penalties listed. Depending on your state, you may owe taxes for the entire year, or a pro-rated portion. Your real estate agent and title company will be the best to advise you on this line item. Learn more about your tax responsibilities as a home seller with Important Tax Matters When Selling or Renting a Home. Depending on your state, you may be able to negotiate this line item. However, in some states, such as Texas, title insurance is a fixed rate based on the square footage of the property. You can negotiate to have either the buyer or the seller pay for this item, depending on your state. Your agent can advise you as to whether this is negotiable. This is a fee from the title company for managing your escrow account, and again varies widely. This fee is typically for an attorney who produces the deed that allows you to convey the legal rights of the property. Ideally, you want to convey a General Warranty Deed, which allows for the easiest transition of the property with a free and clear status. This fee provides for the costs associated with the public recording your of the transfer of the deed. This charge can be mitigated in several instances. For example, if your survey is less than 10 years old, if you haven’t made any structural changes such as adding a shed on foundation or a patio, and if you can convey the survey with a notarized document. Ask your real estate agent for more advice on how to avoid this costly line item, if possible. If your home buyer is using a VA loan, you will be responsible for payment of the termite inspection (anywhere from $50-150) as well as remediation of any potential issues found on the termite inspection, as per the VA’s approval process. These range from roughly $400-800, depending on coverage. 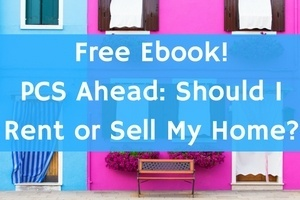 You don’t have to purchase this for the homebuyer, but it’s a good idea. Consider this: The Seller’s Disclosure is the number one document that home sellers are sued over after the sale of the home. If anything happens to the property after the transaction has terminated, the last thing that you want the new homeowner to do is to pick up that document and look for who to sue. Instead, it’s much better to have the new homebuyer pick up the phone and call the home warranty company to remedy any issues with the HVAC, garbage disposal, and so on. And really, even if it the situation doesn’t deteriorate into a legal, messy issue, do you want to be dealing with phone calls about those items after the sale anyway? One of the largest costs of the transaction (after the mortgage pay-off, typically) involves the broker’s commissions. You may pay 33% for both the buyer's agent and listing agent. These fees cover the services rendered, to include the protection of your legal and fiduciary interests as well as marketing services and transaction coordination, to name a few. You can negotiate these fees with your Realtor, but be warned--if your Realtor can’t negotiate on her own behalf, what will she do when representing your financial interests in the transaction? If you're working with a Realtor who provides you with the market value of your property based on a Comprehensive Market Analysis, request a net sheet that provides a complete breakdown of the cost of your transaction. To learn more about about Realtors who specializing in working with the military community, see Why You Should Consider Using a Military Relocation Professional. If, after you review the transaction costs, you have a net profit, then great! Keep that precise number in mind so that you know exactly what wiggle room you have in your budget for negotiation when it comes to the purchase price and any request for seller concessions to help the buyer with closing costs. Can you increase the price of the home slightly to cover the cost without impacting your market position? If the net difference is not significant and you really want to sell, it may be worth coming out of pocket at closing to move on to the next chapter of your life. If the net difference is significant, then your best option is to convert the home to a rental and wait until the market appreciates sufficiently for you to sell. Whatever decision you decide to make, we’ve got the resources to support it right on our website. 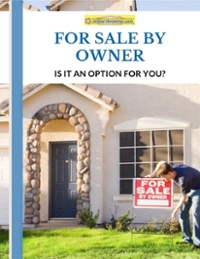 Make sure to check out our Resource section and blog for more advice on home selling and property management, and be sure to download MilitaryByOwner's latest ebook, PCS Ahead: Should I Rent or Sell My Home?